One of the most common headaches after being involved in a serious car accident in Florida has to do with wondering how much your insurance rates are going to spike. While it’s certainly a reasonable concern that you might be facing higher insurance rates after a Daytona Beach car accident, a new study says that it is actually another factor that influences your rates rather than your driving record. However, this is not to say that a driving record filled with accidents or other issues like traffic violations won’t influence your car insurance rates. In fact, car insurance companies look at a wide range of factors that influence how they calculate your rates. Being involved in numerous accidents could indicate that you have a higher likelihood of lodging a claim with your car insurance company. This means that they see you as a higher risk factor and may adjust your premiums accordingly. 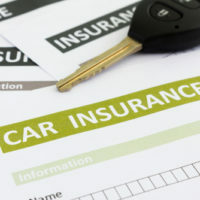 You may expect to see changes in your car insurance rate after filing a major claim, for example, or if you have a string of accidents that have involved claims. However, a new study conducted by the Consumer Federation of America looked at prices for five different insurance companies across ten different cities. The results indicated that insurance companies may actually offer cheaper premiums to wealthy drivers who have violations or record of accidents when compared with drivers of moderate income who have otherwise good driving records. A driver with a moderate income who had a perfect driving record was charged more for car insurance in 20 out of 38 different price comparisons when evaluated against a driver of higher income who had caused an accident in which another individual was injured. Although the insurance companies do not always cover drivers who have convictions for driving under the influence of alcohol, those who did provide this coverage, nearly three quarters charged a driver with moderate income more than an upper income driver with a DUI conviction. These findings are extremely interesting, especially since many drivers strive to have an accident free record in order to keep rates low, among other reasons. What to Do If You Have Recently Been Involved in an Accident? If you have recently been involved in a car accident in Daytona Beach, you need to hire an attorney to represent your interests as soon as possible. This is for several different reasons. First of all, consulting with an attorney will give you an overview of the legal facts involved in your case and recommendations about what to do next. Speaking with a lawyer can have a significant impact over your ability to recover compensation. In addition to seeing higher car insurance rates, you might have many other negative implications from a vehicle crash in Daytona Beach caused by someone else who was not paying attention or who was otherwise reckless. An attorney can help you evaluate the facts in your case as well as evidence that helps to support your claim that the other driver was responsible. These cases can be extremely complex and the complexity only grows when you have more devastating injuries. Consulting with a lawyer can have big impact on whether or not you are able to recover this compensation, so that you can focus on healing and recovery and moving on with your life. If you are concerned about how a Daytona Beach car accident will impact you now and well into the future, you need to contact an attorney as well as speak with your medical professional about your prognosis for treatment. Having the right individual supporting you in the event that you need to file a Daytona Beach car accident claim can make your life that much easier. During this stressful time anything that helps to support your ability to heal is strongly recommended. The right lawyer can help you figure out your next move and how to best protect yourself going forward.